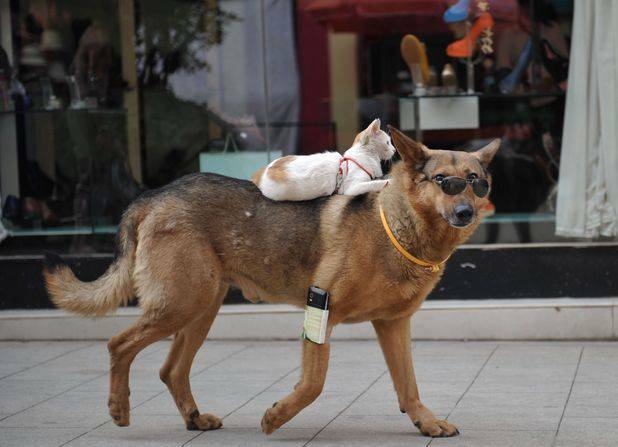 This amazing picture has just been put on the big wide web showing a cat riding on a sunglasses-wearing dog. 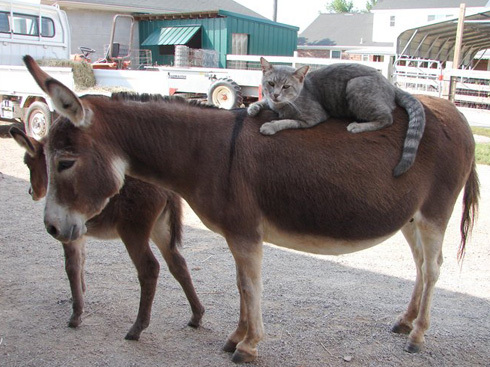 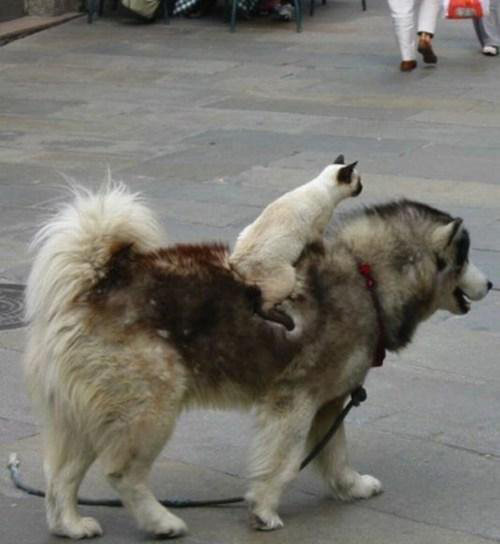 According to the owner, the pair get on and the cat likes riding the dog’s back when it gets tired. 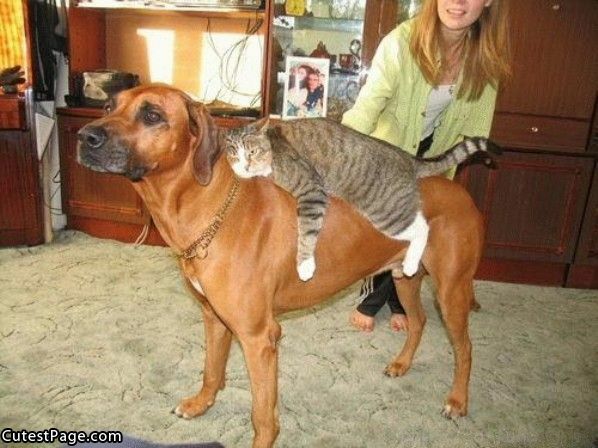 There is so much about this picture to make you happy (not even mentioning that the dog is carrying a mobile phone! 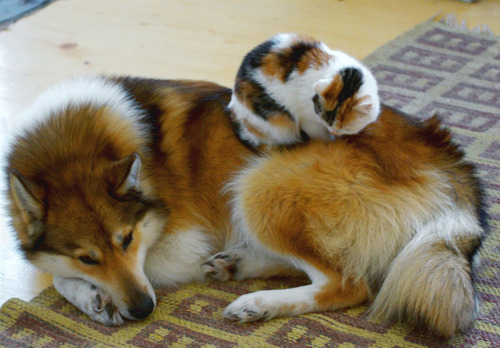 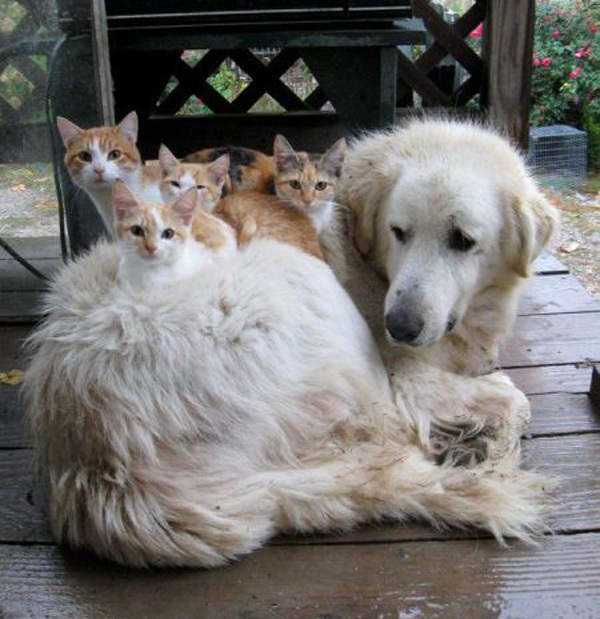 ), and so we’ve hunted the web for more pictures to prove that dogs and cats do get on – as long as the dog is willing to be the cat’s horse. 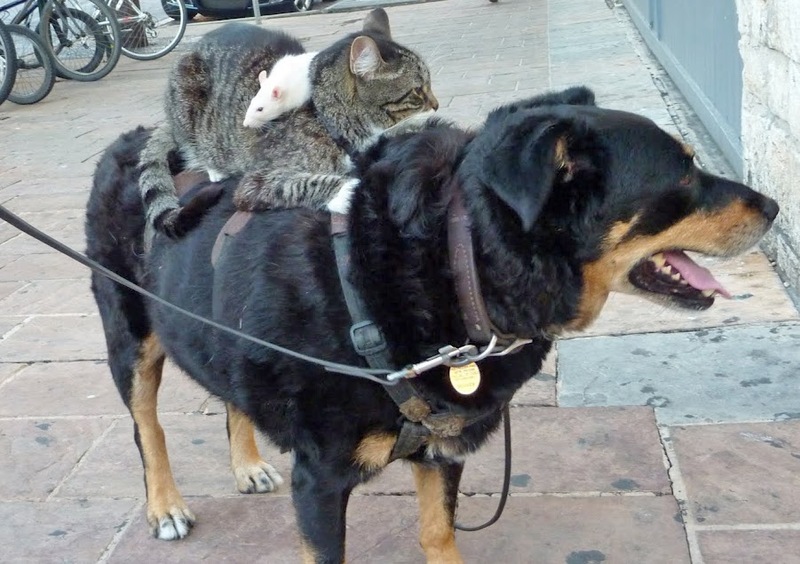 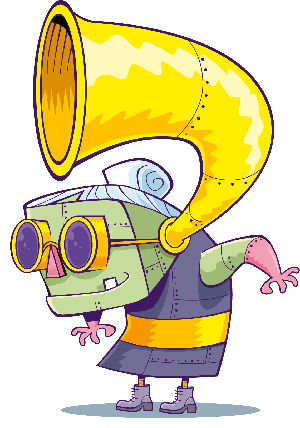 And now mice are getting in on the action too!